The way your services are sought needs to reflect a different way to market them. Give them more than just an informative advertisement. Invite millennials to engage in your advertisement, not just read it. Provide tips and helpful information in your advertisements. Offer tools and apps, which help familiarize millennials with your brand and services. An important mission, value, and strong corporate responsibility still bodes well with this generation. Don’t just focus on your exterior persona – pair it with a unique mission statement to stand out to millennials. They quickly become loyal to the companies they’ve experienced, especially when it comes to B2C brands. 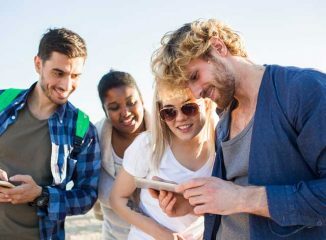 Incorporating these tips and keeping an open-minded marketing strategy can not only strengthen your relationship with millennials, but can convert more of their web visits into consumers.